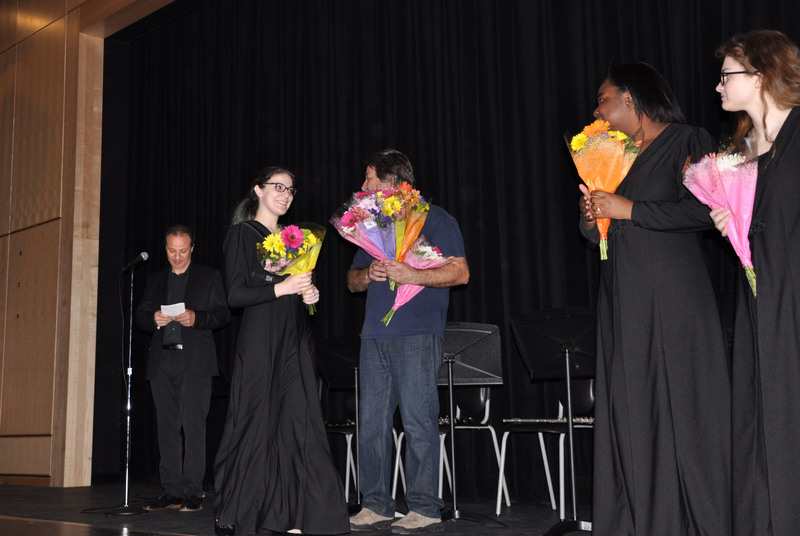 The Rockland Senior High School Music Department held its annual Pops Concert on Thursday evening, May 4. Directors John Piazza and David Arruda led the band and chorus in several musical pieces. Senior Lauren Zaremba receives bouqet. On Sunday, April 30 the RHS band played an introductory set before the Boston Symphony Orchestra’s performance for the community of Rockland. It was a great opportunity for them to be a part of a unique musical experience. The band on Sunday, April 30. Saxophone section on Sunday, April 30. Quintet in G Minor for piano and strings, Opus 57. From left: Victor Romanul, Xin Ding, Max Levinson, Owen Young and Daniel Getz. Max Levinson, Xin Ting, Owen Young and Daniel Getz, four of the five members of the Boston Symphony Orchestra who gave a community concert on April 30.